Phoenix, Ariz. (November 2018) – Tuff-Writer MFG™ LLC., makers of the world’s toughest American made pens, has launched the new Retro-Click Executive Pen on Kickstarter. Designed as a direct result of customer feedback asking for a simple, clean and elegant low-profile office pen, the Retro-Click has the same legendary Tuff-Writer build quality in a sleeker, more timeless looking design. Designed to be entirely modular with each component being easily replaceable, the Retro-Click pen is designed to last a lifetime. 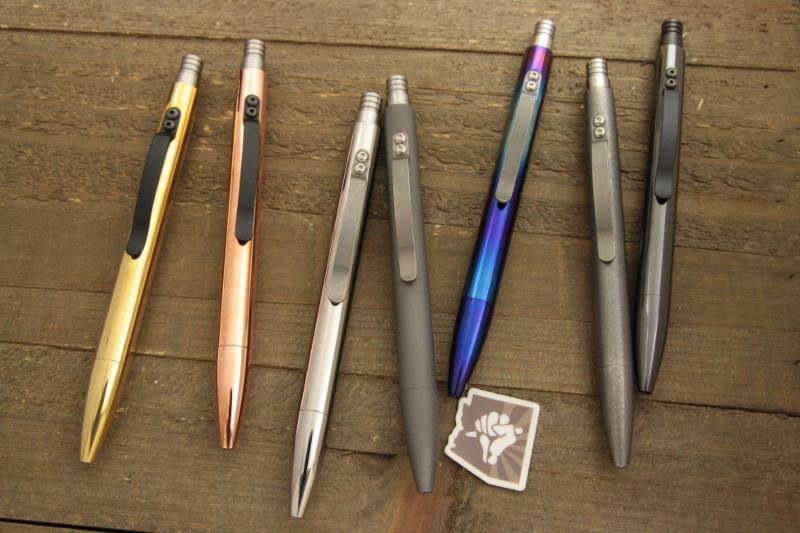 The pen utilizes a machined metal body, while the heart of the pen is a latest version of the famous 416SS pen advancing mechanism, absolutely the finest “clicky” mechanism available. A shorter stamped clip helps keep the pen securely fastened and close at hand. The pen comes with the reliable Fisher gas pressurized cartridge but is designed to accept any of the dozens of Parker style refills. The Retro-Click is available in titanium, brass, copper and also exotic zirconium alloy. Tuff-Writer is utilizing Kickstarter to launch the initial run and make the Retro-Click available for pre-order at a greatly discounted pre-release price. As with all Tuff-Writer pens, the Retro-Click is proudly made and assembled in the USA and carries a limited lifetime warranty. Tuff- Writer, Inc., located in Phoenix, Arizona, designs and manufactures some of the toughest tactical pens in the world. Used by special operations groups, military personnel, tactical officers, first responders and civilians under the most extreme working and environmental conditions, the Tuff-Writer is made in the U.S.A. and guaranteed for life, just like real hard-use gear should be. www.tuffwriter.com – Keep up to date with Tuff-Writer by visiting their website or by Facebook .